From all indications, it's due to wrong information flying around. 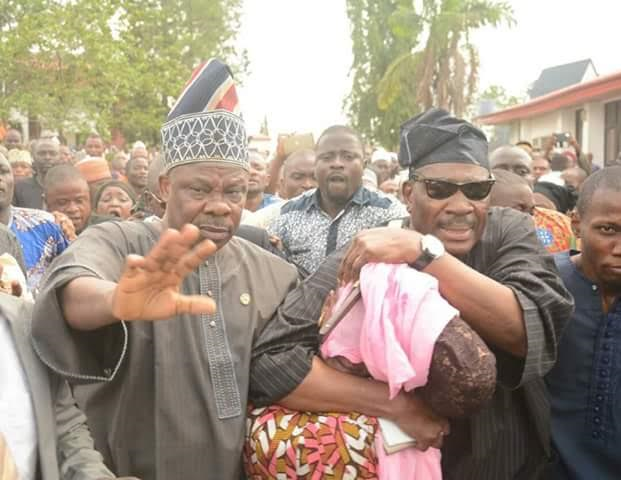 The late Senate Isiaka Adeleke was said to have died from drugs overdose complications. 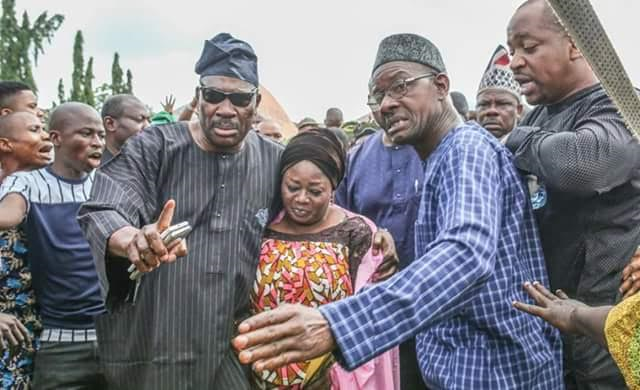 But before the autopsy some in his home town had alleged that he was poisoned by Governor Rauf Aregbesola's camp. 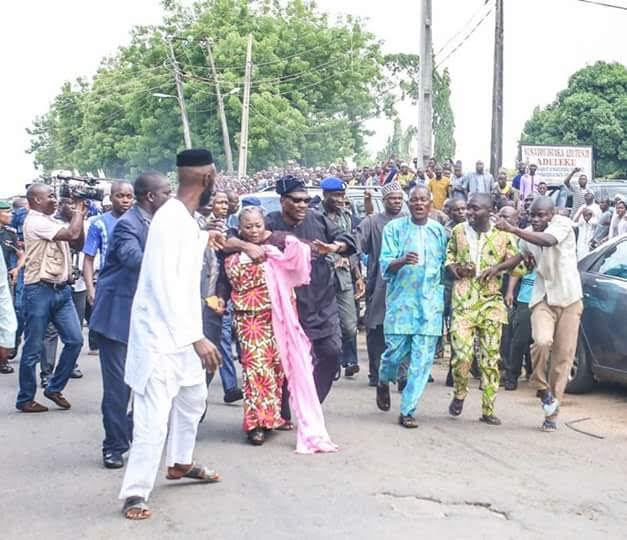 That was how angry mourners at the Ede residence of late Adeleke attacked and injured the lady, Idiat Babalola, a prominent Ede indigene, who is one of the commissioner-nominees of Governor Aregbesola for coming to pay her last respects to the departed politician. 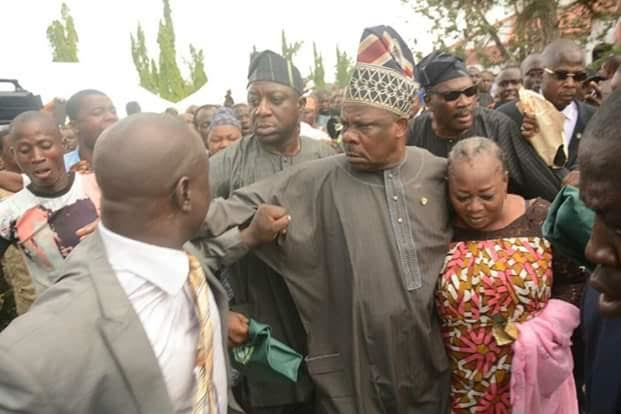 The attack came just before Adeleke’s remains were buried at a grave dug beside the mosque built inside his country home in Ede. 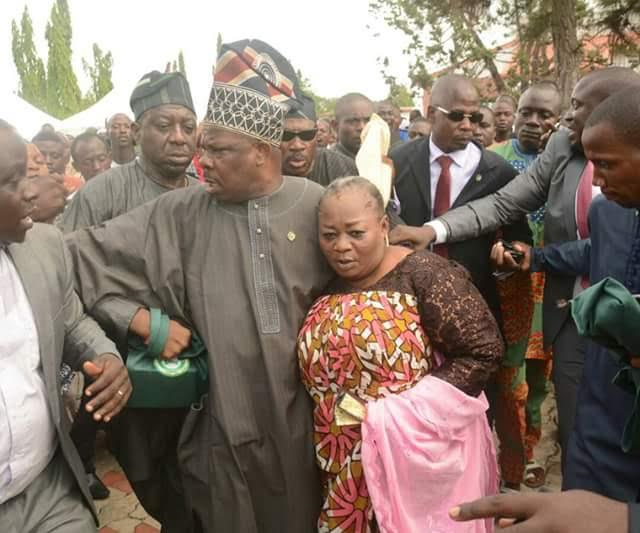 Angry youths have been claiming that Adeleke, who was their benefactor, was poisoned at one of the social functions he attended within the state on Saturday. 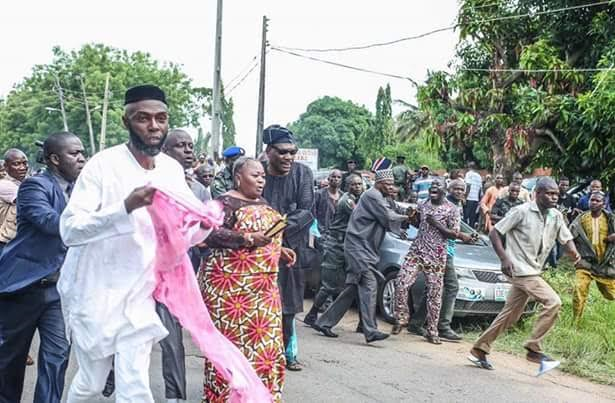 They claimed that he ate just a piece of meat at one of the functions and that some APC leaders were behind his death in order to brighten the chances of an ‘anointed’ candidate, who they said would pick the lady, Idiat Babalola, eventually as his running-mate. 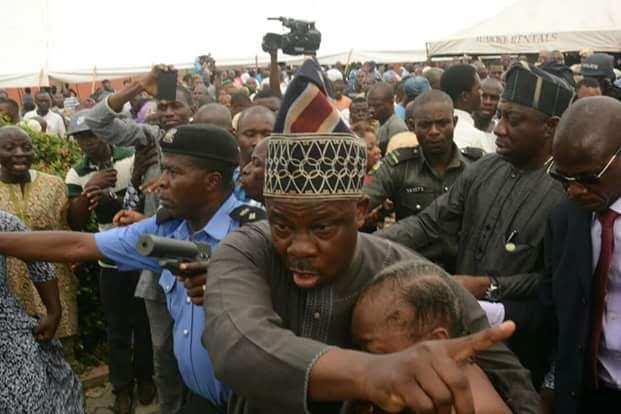 A very big thanks to Senator Ibikunle Amosun, Ogun State Governor for his courage as he pushed those mobs away to safe the Woman from possible lynching by the aggreived Ede youths.